The Interior Plain Project brings that Twin Cities flavor to the masses. IPP photo. “Scene” is a bit of a buzz word in the snowboard community as of late. With a number of small owner-operated snowboard shops going out of business, and everything from retail to media going digital, many have speculated about what the future of snowboarding will look like in the face of globalization. 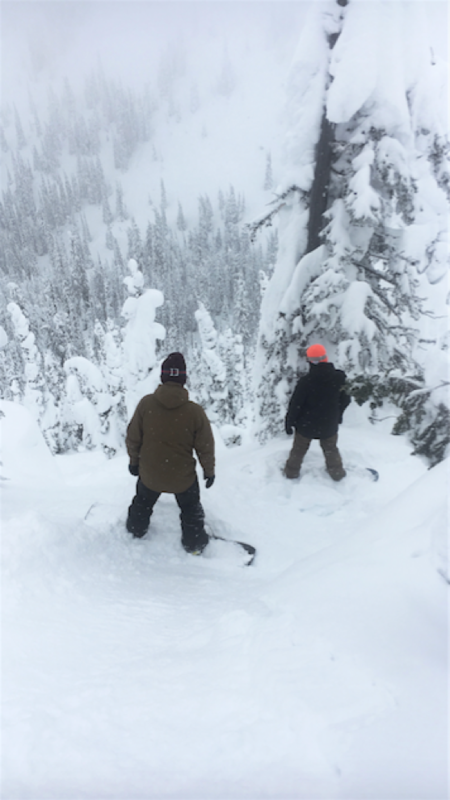 Snowboarding–as both an industry and as a community–is highly dependent on a strong local scene. From core retail shops to local brands, a thriving snowboard community offers the connectivity, events, and support that is essential for snowboarders to engage on a deeper level. 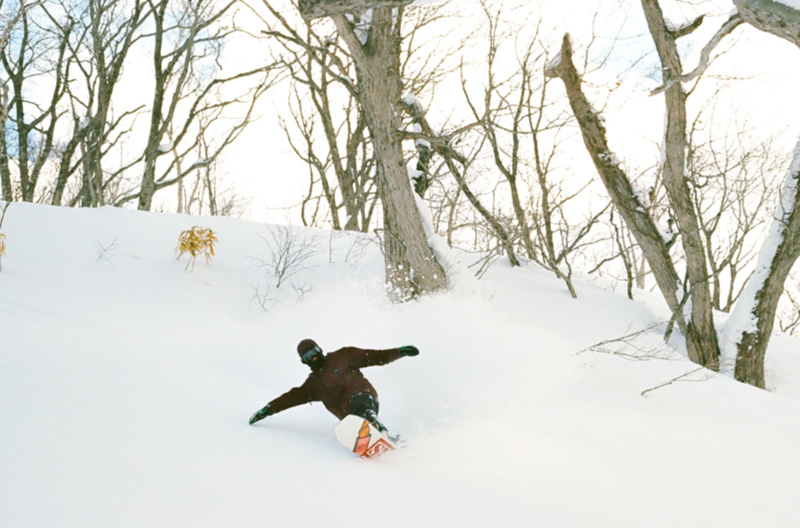 Snowboarding at its very core is about community, while many snowboarders strive for individuality, they are always better collectively, which is why why the level of riding is almost always higher in places with robust scenes. The Honalee from the 17/18 Sin Eater Collection. Jordan Enger photo. For most people, the Midwest isn’t the first destination that comes to mind when thinking about epic snowboard locales, but something special has been taking place in the Heartland for a long time. And while mountain town powderhounds might scoff at the notion, they would be hard-pressed to name another place that has produced more snowboard talent than the greater Twin Cities Metropolitan area. Minnesota is a breeding ground for top-tier talent, and while the slopes might be underwhelming to anyone who has lived in the Rockies, Cascades, or Tetons they groom prestigious riders, and a big part of that is due to Minneapolis’ thriving snowboard scene. The snowboarding in Minneapolis has always bubbled over with emerging snowboard talent, but the real heroes of the community are the ones behind the scenes making things happen. For the last 20 plus years you’d be hard pressed to find someone who has had as much impact on the community as Interior Plain Project founder and longtime rep Pete Harvieux. Harvieux, who grew up in Western Wisconsin has been organizing events, repping brands, and putting some of the Midwest's most talented snowboarders on since his early days with the now defunct skateboard and snowboard shop Fobia. Harvieux, would go on to rep some of the most iconic brands in the game including Rome SDS, I-Path Footwear, and Ashbury Eyewear. While Harvieux would enjoy many years as one of the Midwest’s most prominent reps, the ideation process for IPP as it is dubbed actually started much earlier while he was still gripping decks and setting up snowboards behind the counters at Fobia. Team rider Jake Moore brings some Midwest to the mountains. Jordan Enger photo. As a rep Harvieux, went above-and-beyond to help foster a strong snowboard community throughout the Midwest but most notably in the Twin Cities, where he and his family reside. Harvieux was more than just an ambassador–he became a de facto cultural gatekeeper, helping shape the scene. He was witness to the budding careers of iconic Minnesota snowboarders like Chad Otterstrom, Bjorn Leines, and Micah McGinnity, and was able to both directly and indirectly help and influence young up-and-coming riders in everything from proper style to how to navigate the industry. Harvieux’s passion and dedication to the local scene paid off as the Twin Cities became a hotbed of local talent, especially when it came to snowboarding in the streets as Minneapolis and Saint Paul became a proving ground for both local and out of town talent. A sort of rapid progression started to take place–with a plethora of street spots and rope tow-accessed snowboard parks–the local kids were getting good quickly. This generated a new era of pros and Minnesota-born icons, including household names like Joe Sexton, Zac Marben, Jake Olson-Elm, Jonas Michilot, Ethan Deiss, and many more. Through it all, Harvieux was still concepting and dreaming of his own label, and in 2001 he attempted to put his first order together. 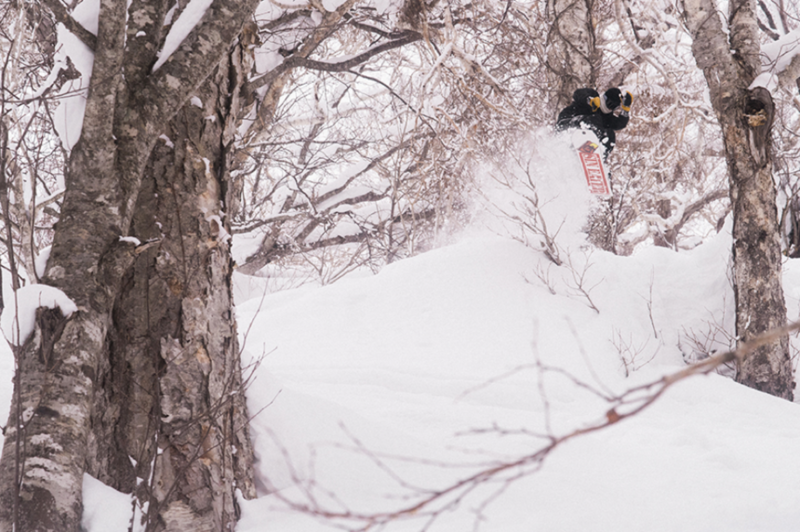 Team rider Kyle Kennedy slashes some midday pow on a Premium Medium board. Jordan Enger photo. After 2001, he was approached by Rome SDS and repped the brand until 2011. In 2011, Harvieux was once again to take his idea from ideation and move it into production. He worked with a number of local designers and artists and launched his first collection–Dark Meadows. 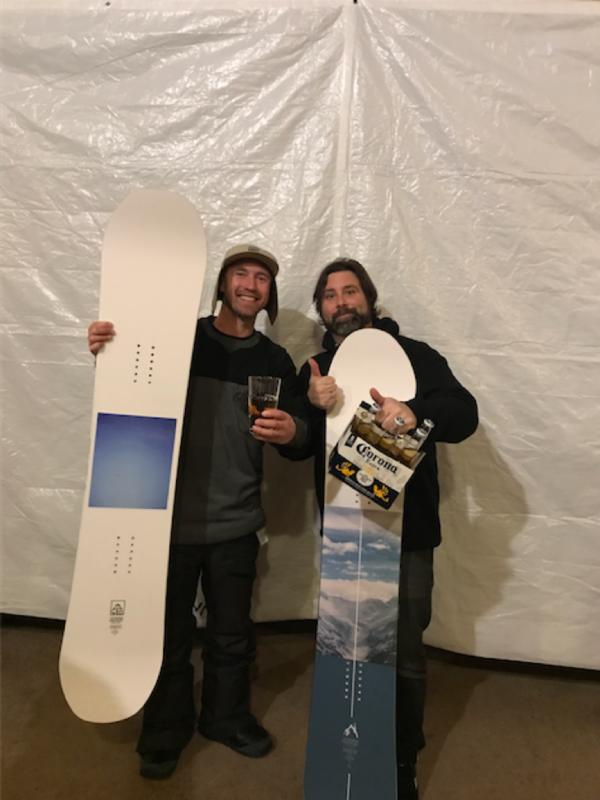 While IPP’s debut season was a success in terms of a lifelong dream coming to fruition, the product left something to be desired for Harvieux, who after 30 years of snowboarding and over 20 years working in the industry had a high expectation when it came to snowboard quality. Harvieux would eventually reach out to another Midwesterner-turned-snowboard-manufacturer, Blue Montgomery, the owner of Capita Snowboards. Montgomery, who had successfully grown Capita from a small boutique brand into one of the most successful snowboard companies in the world had recently purchased the Elan Snowboard Factory in Austria, dubbing it The Mother Ship. Capita moved all production to The Mothership and also began producing boards for a number of small brands that would include snowboard owned and operated brands like Spring Break, Dinosaurs Will Die, and eventually IPP. The Harrow from the Sin Eater Collection featuring art by Todd Bratrud. Peter Limberg photo. With the quality issue taken care of, Harvieux has been able to focus on making snowboards that appeal to a wide array of snowboarders. 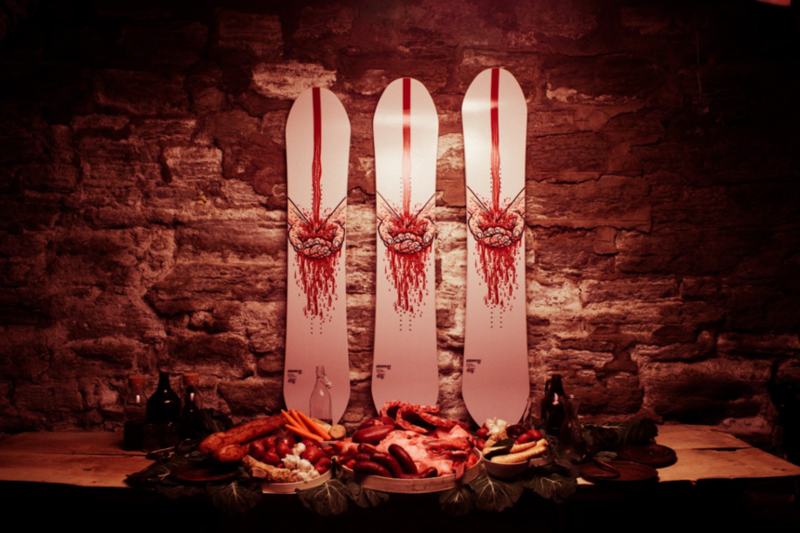 Harvieux has focused on making straightforward no-nonsense snowboards that can handle a wide array of terrain, moving away from overly expensive teched-out snowboarda that only appeal to snowboarders who need terrain-specific features. He’s dubbed this new initiative “Premium Medium,” offering streamlined yet high quality snowboards at an affordable price. IPP’s approach has found a number of supporters, especially in the Midwest, where Harvieux still lives and spends his winters. Harviuex is still one of the primary boosters of the local scene and everything from his branding efforts to IPP’s team of young talented riders is Midwest-centric. While IPP has strong Midwest roots and is entrenched in Midwest snowboarding culture, Harviuex insists that he isn’t deliberately building a “Midwest” brand, but is simply proud of the region he calls home. While that might give IPP the appearance of being a boutique brand that appeals to a very niche audience, Harviuex seems less concerned with mass appeal than just building a brand that resonates with snowboarders who understand the mission of the label. IPP has been building and gaining traction, they have been covered in all of the major snowboard media outlets and are building a fanbase outside of the Midwest. While growth might come at a more sustainable pace for the brand as IPP isn’t flush with advertising budgets and uber pros, it certainly has a “if you build it they will come,” essence. For now IPP and Harviuex will continue building on the foundation of community-based snowboarding, inspiring and developing the next generation of dedicated snowboarders. They will continue to build highly functional and practical snowboards that can enable stoke from the streets to the peaks. With snowboarding and the snowboard industry moving away from a precipice that could have all but shuttered the industry, it is comforting to know that snowboarding is being placed back into the hands of the people that snowboarding belongs to–people like Harviuex, who actually, you know, snowboard. Harviuex seems content making quality boards and memories. IPP photo. When I ask Harviuex where he sees his brand in 10 years, he becomes introspective. “The future of IPP is snowboarding plain and simple,” he continues. Exploring style, spaces, and environments while producing new collections on Premium Medium snowboards. Our 7th collection will hit doors this fall, that’s always exciting to me. We have these ideas we see through to market and man that’s a thrill."